143 mins. Rated R for strong violence and pervasive language. Folks, I just saw Detroit the other night, and I have to talk about it. 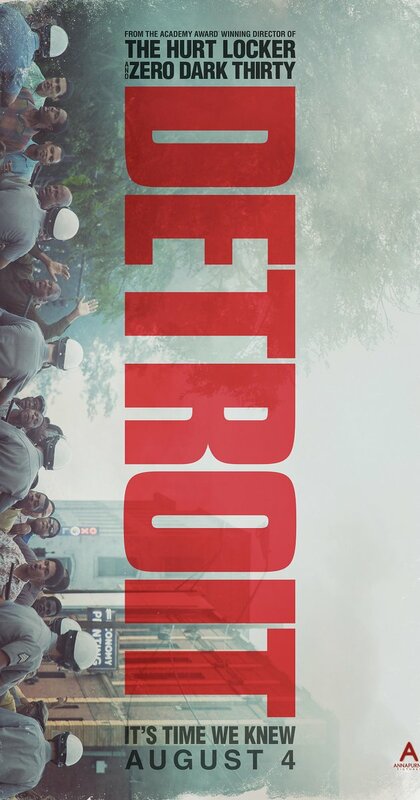 Detroit is the newest film from acclaimed director Kathryn Bigelow (The Hurt Locker, Zero Dark Thirty) and her frequent screenwriter Mark Boal. It offers snapshots into the Detroit Riots of 1967, specifically the events that took place at the Algiers Motel over the course of a very dangerous and bloody evening. 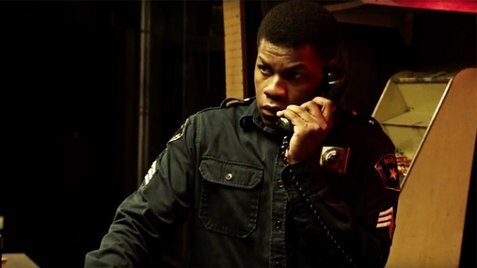 Security Guard Melvin Dismukes (John Boyega, Star Wars: The Force Awakens, The Circle) simply attempts to offer coffee to his fellow armed forces, but he is quickly forced into a situation where he does not know the right call to make, or if he is even able to make it. Racially-charged officer Philip Krauss (The Revenant, War Machine) finds himself taking multiple people hostage at the Algiers Motel, including singer Larry Reed (Algee Smith, Earth to Echo, Let It Shine), whose night quickly turns from dream to nightmare. While the events of the Detroit riots are known to this writer, I wasn’t particularly aware of the Algiers Motel incident until just recently, and Kathryn Bigelow expertly handles the story in a respectful but unforgiving manner. This is not an easy movie to watch, but I found myself unable to look away when I was exposed to the atrocities committed. At the screening I attended, an elderly African American woman frequently sobbed during the disturbing altercations between the white cops and their hostages. John Boyega’s turn as Dismukes is amazing, and the way his character handles the situation with careful attention is shocking and difficult to witness. His scenes with Poulter are definitely powerful, as Poulter steals the screen with every scene. But it is Algee Smith, who plays Larry, who has the most compelling story of the film. The heartbreaking and nuanced performance Smith gives is unforgettable and should garner him some attention come award season. I cannot say anything bad about the performances in this movie, and I would be disappointed in myself if I didn’t recognize the great work from Jason Mitchell (Straight Outta Compton, Kong: Skull Island), John Krasinski (TV’s The Office, 13 Hours), and Anthony Mackie (Captain America: Civil War, All the Way) in supporting roles. The film is just that good. It kept me on the edge of my seat the entire time, even with the lengthy runtime. The only true flaw in the film is the reliance on shaky-cam cinematography, something that Bigelow has notably used in her most recent films, and it does tend to distract at times here. Overall, this isn’t a film-killing amount of shaky, but it does detract. Detroit is in many ways like Christopher Nolan’s Dunkirk, also released this year, in that it chooses to take a major event and boil it down to the characters, the people, that lived it. This isn’t grandiose filmmaking but personal storytelling. 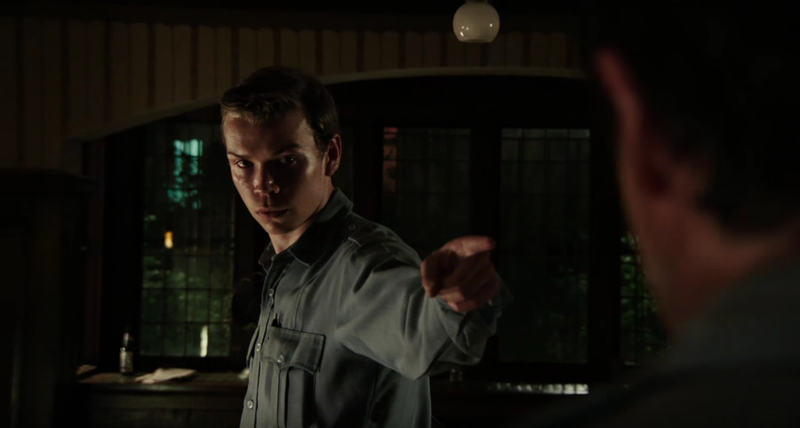 Bigelow’s film shows heroes and villains on both sides of the racially poignant film. Detroit is indeed a film you need to see, but it isn’t one you will necessarily want to see again.